Wet plate glass negative, studio of Mathew Brady. Circa 1865. "City Point, Virginia. 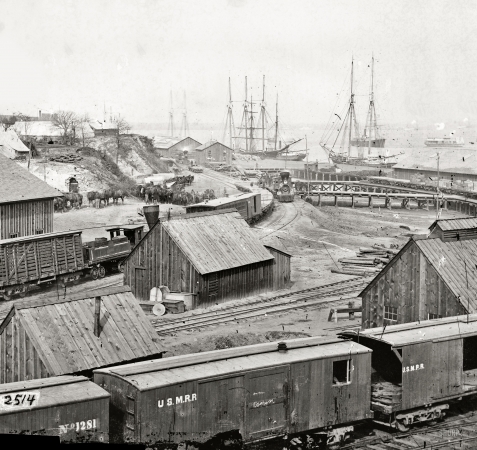 Railroad yard and transports."